One of the first trips I made after moving to Asia was going to Macau. This small enclave of southeast China is a former Portuguese colony, now formalized as an administrative region of the Republic of China. 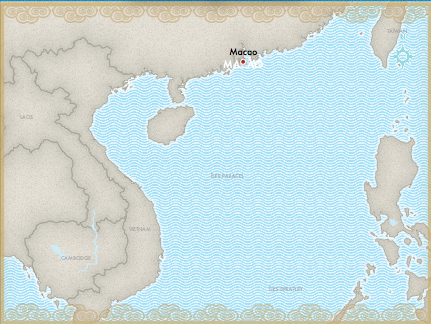 After over four hundred years of colonization, Macao was one of the last European colonies in Asia. The Portuguese influence is clearly felt. You will be seduced by the charm of neighborhoods and their narrow cobbled streets, balconies adorned with linen drying in the sun, not to mention the splendid mansions lined with azulejos tiles; all witnesses of an incredible past.